Research Fellow at the Institute for National Security Studies. She specializes in Turkish foreign policy. Her additional research interests are ethnic conflicts, Azerbaijan’s foreign policy, the Cyprus issue, and the Kurds. Her commentaries and op-eds have appeared in all of the Israeli major media outlets, as well as in international outlets such as National Interest, Hurriyet Daily News, Turkey Analyst and Insight Turkey. Dr. Lindenstrauss, who completed her Ph.D. in the Department of International Relations at Hebrew University, lectures at the Interdisciplinary Center, Herzliya. 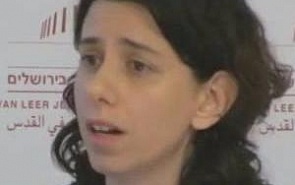 She formerly lectured at the Hebrew University of Jerusalem and was a postdoctoral fellow at the Davis Institute for International Relations at Hebrew University. Declaration of Kurdish independence only in Northern Iraq is a more likely scenario. Resumption of wide spread violence in Turkey makes the situation of the Kurds there quite bleak.